"EVs can't ditch the conventional brake. There needs to be a redundant system for situations when regenerative braking isn't possible, like when the battery is full and can't accept more energy. A consequence of using regenerative braking is that the friction brakes get much less use than in a conventional car, so they tend to last a lot longer. But there is a downside to this: a buildup of rust that can impair their performance when you need to use them, according to Continental. So there's a wheel rim, to which the tire is mounted, and then an inner component called a carrier star—the bit with spokes that mounts to the axle. Instead of mounting a brake disk to the axle, here it's married to the carrier star, with the caliper attached to the inside. 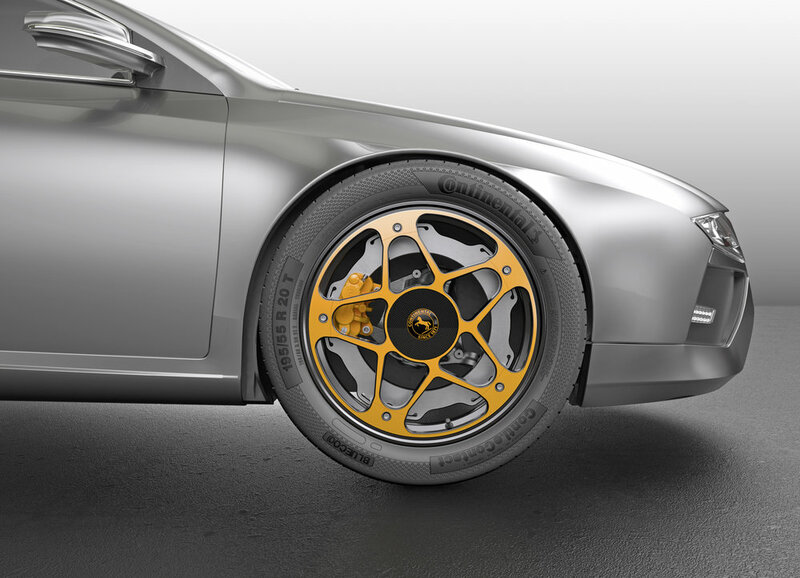 That means that the disc can be much larger than a conventional brake disc, which needs to be small enough so that there's room to fit the caliper without impeding the wheel itself." 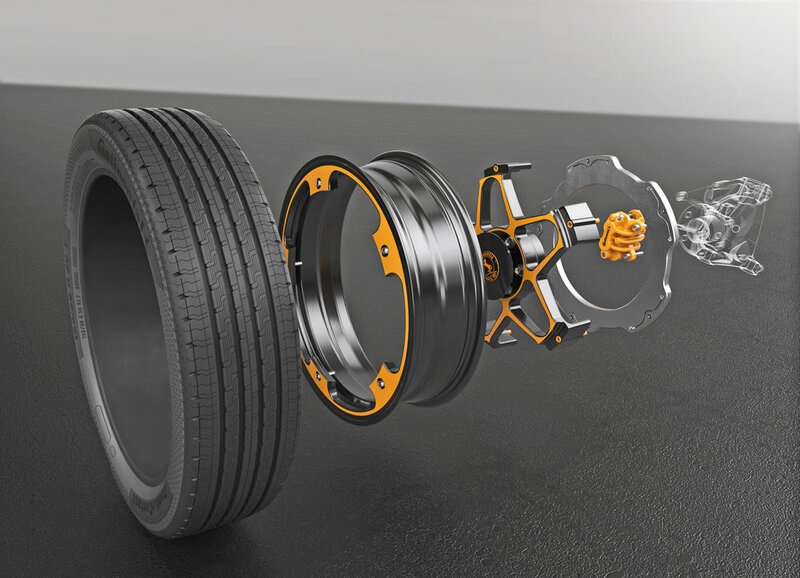 This is a very interesting innovation that takes advantage of a key driving characteristic of electric vehicles- regenerative braking- to solve a potential rust problem caused by reduced usage of conventional brakes. I'd love to see how this would work in daily use on a production vehicle.